If you’re like me and have had Greg’s Drinking Song and The End of the Movie on repeat since the episodes featuring those songs aired, then you’re going to have a lot of love for tonight’s Crazy Ex-Girlfriend. But there are plenty of other reasons to love this episode, including seeing some healthy decision making and change by Rebecca. As the story moves towards its conclusion, we’re starting to see possible endings for all these beloved characters. Endings? Perhaps new beginnings is more accurate. In tonight’s ‘I have to get out’ there’s change in the air, and no one’s feeling it more acutely than Rebecca. But this is the type of change she needs to make herself, and the universe is sure to give her a few pushes in the right direction. Focusing more on herself again, Rebecca’s adjusting to her anti-depressants. She’s making peace with being on them and is learning how to talk about this openly, while trying to fight through the side-effects and stay awake. 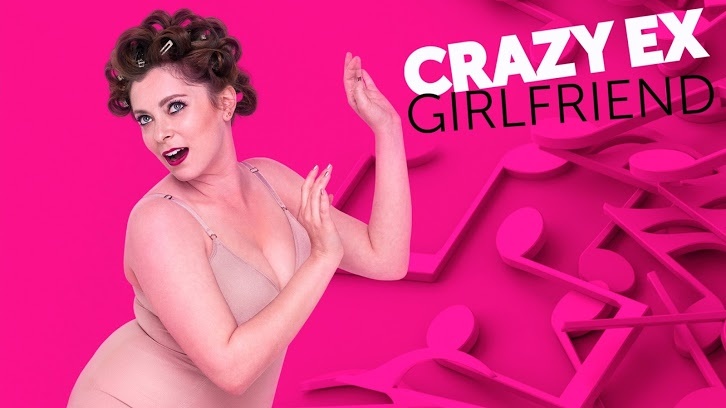 Because yes, anti-depressants will bring on fatigue, as well as a whole lot of other side-effects, and Crazy Ex-Girlfriend does what it does best and gives us all those side-effects – and the types of medications – in one heck of an important and catchy song. Darryl bonds with a woman in the hospital waiting room over bean dip, in case you forgot how pure this bisexual cinnamon roll really is. Also: there’s a possibility his daughter might actually be smarter than him. The boys, Josh, Nathaniel, and Greg, manage to find themselves quarantined, and despite hashing out a few issues that have been coming between them, and forcing a friendship, none of them should be too quick to trust one another. All three of them are in love with Rebecca, but by the end of this episode you might be more Team Single Rebecca than Team Anyone Else. They’ve all come a long way since their first appearances, but they too still have work to do. The scene with the boys quarantined in a hospital room trying to force a bond is a nice juxtaposition against Rebecca, Heather, Valencia, and Paula - who have a real bond. Speaking of juxtaposition, there’s a Greg and Josh fight scene that is sure to leave a smile on your face. As the series end draws closer, these characters are all changing, and while some are learning how to make those changes, others still have a few things to figure out. Catch Crazy Ex-Girlfriend tonight at 9/8c on The CW.